Entrance of Amsterdam Central station. Photo: Benthem Crouwel Architects/Jannes Linders. Amsterdam’s first female mayor Femke Halsema has inaugurated the Dutch capital’s new North-South line within the first few days of starting her new role. 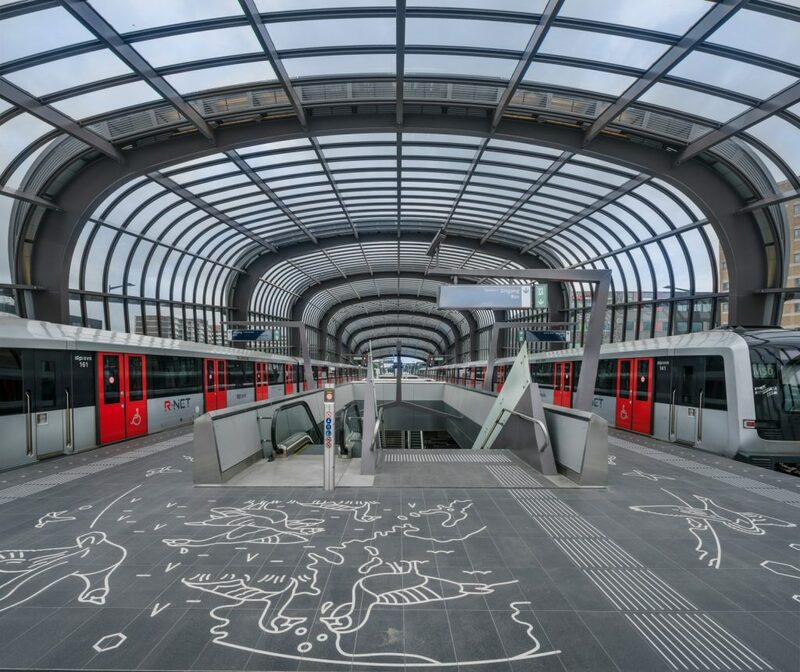 The 10km line passes beneath the IJ river and was officially opened at a ceremony on July 21 with Amsterdam transport minister Sharon Dijksma in attendance. North-South line – also known as Line 52 – is an idea that dates back to the 1960s. Rokin station. Photo: Noord station. Photo: Benthem Crouwel Architects/Jannes Linders. 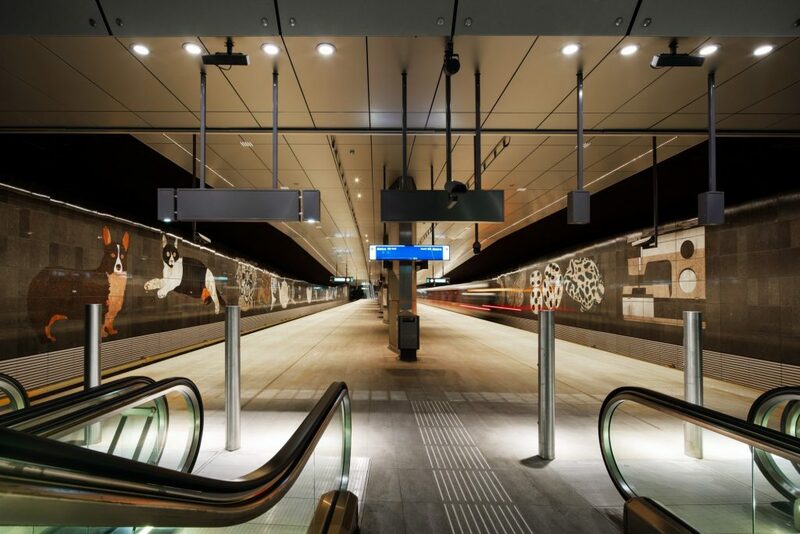 It features seven new stations and connects with existing metro, tram and mainline services at the new Central metro station. 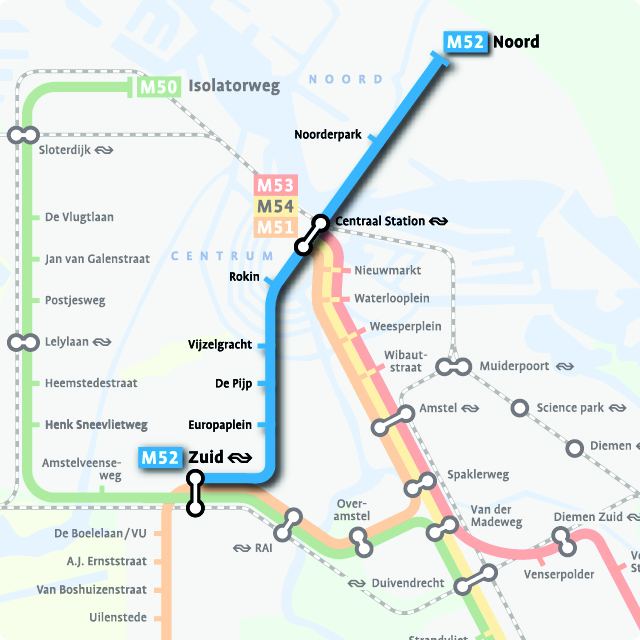 Other new stations include: Noord, Noorderpark, Rokin, Vijzelgracht, De Pijp, and Europaplein. Two of these stations are above ground and five are underground. Construction began back in 2003 but the line’s launch has been put back a number of times. 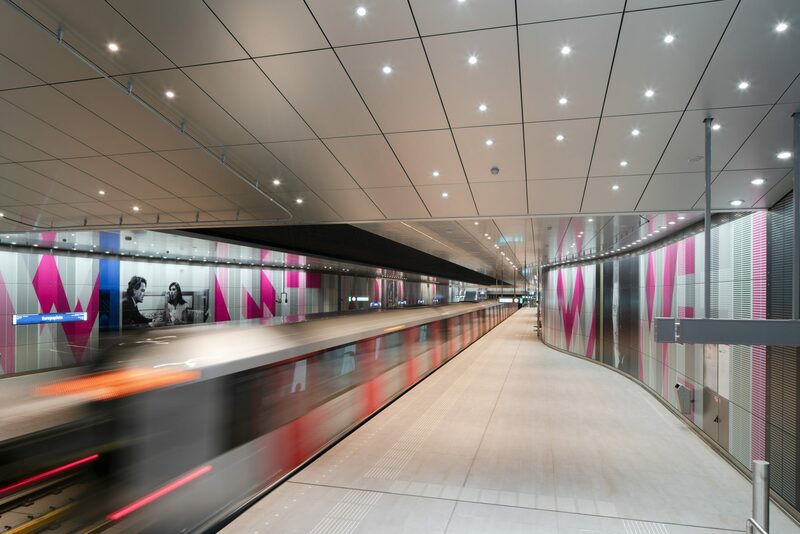 Benthem Crouwel Architects designed the seven new stations. 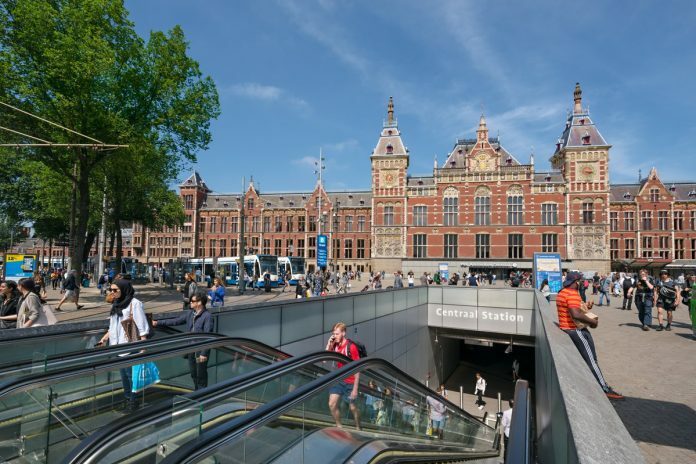 In a statement, a spokesperson for the company said: “The task of engineering an underground metro 25m deep in the soggy soil of historical Amsterdam, built on long wooden stilts around 1300, was not an easy one. Europaplein station. Photo: Benthem Crouwel Architects/Jannes Linders. Passengers can travel from the north to the south of the city in just 15 minutes using the line, with a headway of six minutes during peak hours. The line uses Alstom’s Urbalis 400 communications-based train control and signalling solution. Noord station. Photo: Benthem Crouwel Architects/Jannes Linders.